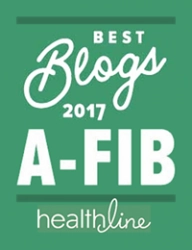 We first posted Marilyn Shook’s personal A-Fib story, “Pill-In-the-Pocket” for Five Years, then Catheter Ablation for a Cure (#25) in 2008. She then sent us updates in 2014, 2015 and now her latest update after a third ablation in late April 2016. 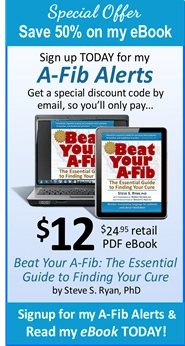 Marilyn’s A-Fib appears to find new and unusual places to originate from. 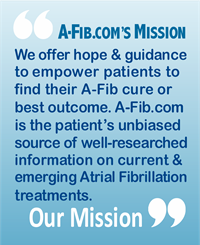 “It’s been a few weeks since my third PVA [Pulmonary Vein Ablation] and I am doing well. Just to jolt your memory―I had my first PVA in 2007 and did well for 7 years. But my A-Fib returned in 2014 and was documented by a tiny Medtronic Reveal LINQ cardiac monitor implant. A second PVA followed in October of 2014. 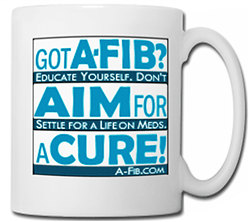 I was A-Fib free until February 2016 when A-Fib/Flutter returned. I opted for my third PVA, which was performed in April 2016 by Dr. David Haines at Beaumont Hospital. 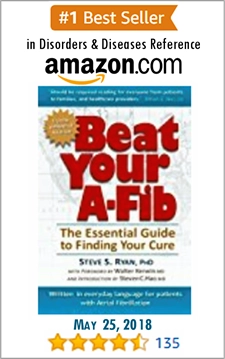 Marilyn Shook is also an A-Fib Support Volunteer who lives near Detroit, MI. Under general anesthesia, my PVA was extensive work but completed in about 4 hours. I was in sinus rhythm before and after the procedure. After my ablation, I was awake, alert and responsive and then suddenly became unresponsive, with thready pulse, blood pressure plummeted. 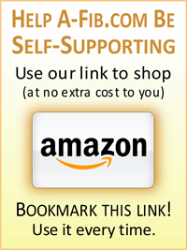 Continue reading about Marilyn’s third ablation and her medical emergency->.